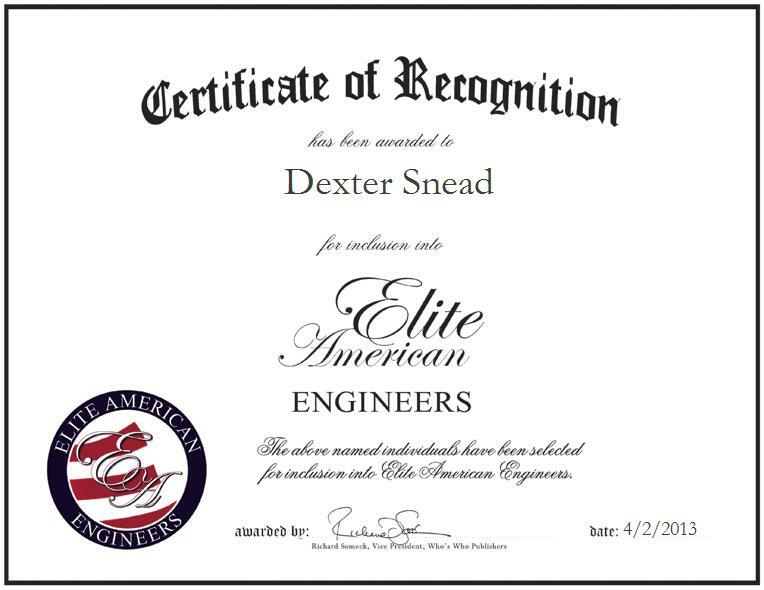 Dexter Snead is an Engineer of Business Planning and Portfolio Management for the Duke Energy Corporation. Specializing in assets, regulatory data management, account and budgetary reporting and project management, Mr. Snead strives for excellence in his every endeavor. He is currently in charge of developing and planning business strategies, forecasting and managing risk. He attributes his success to his hard work, work ethic and people management skills. Prioritizing God, family and work provides a perfect calmness for decision making and risk. Mr. Snead is an engineer and business consultant with Duke Energy in Charlotte, N.C. He served on the Charlotte Tree Advisory Commission for nine years, leading the Trees for Change Program. He has also worked with American Forests, the NC Urban Forest Council, the NC Division of Forest Resources, and other local and national environmental clubs on projects promoting tree preservation. He served in the U.S. Army, U.S. Air Force and North Carolina Air National Guard for a total of 25 years. He has a unique ability to work in a team, and believes that his military background and dependency on Christ created this ability, not his own doing. He enjoys biblical studies and reading about investing and business planning.